Climbing is one of the fastest growing sports globally. Recently added as an olympic sport, climbing offers you the chance to test your body and mind while spending time in nature. The Bow Valley has options for everyone. Everything from short single pitch cliffs a close walk from the parking lot to steep multi-ropelength faces and mountain summits. Rock climbing is fun and challenging for all ages and experience levels. 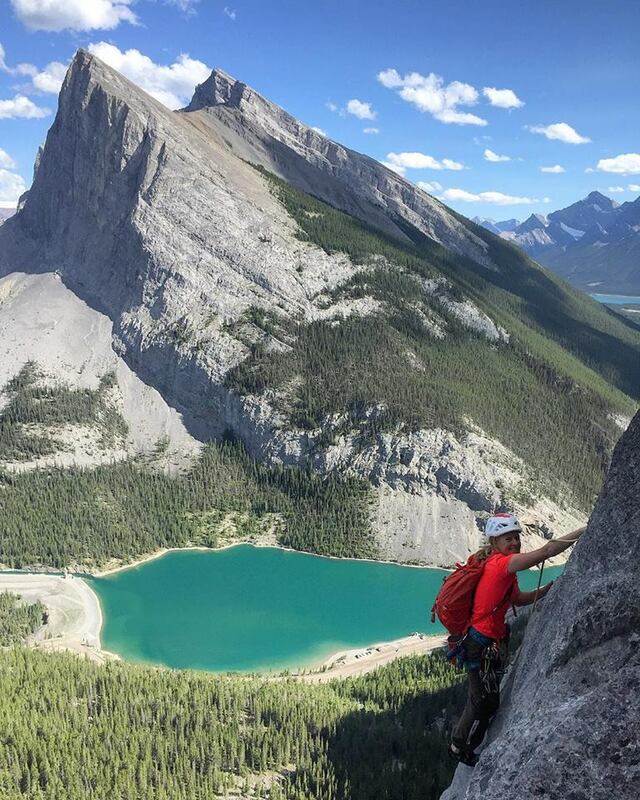 The Canmore region provides a plethora of exciting multi pitch routes accessible to all levels of climber. Would you rather learn to be an independent climber? We offer a range of courses or mentored guided experiences to give you the skills you need to succeed as a climber. Whether its your first time climbing outdoors or you want to improve on your multi-pitch efficiency or trad skills, we have something for you. “Cliffs are meant to be awe inspiring, and respected.